Ashbourne Fairtrade Town Initiative is working to raise awareness of Fairtrade within the town. Ashbourne became a Fairtrade Town in 2005, and since then the range of Fairtrade products available in the town has continued to grow. 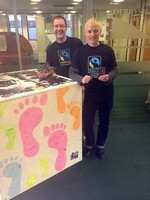 We are always happy to help local organisations find out more about Fairtrade and can provide information or samples. Feel free to contact us. We're now on Facebook - like us to keep up-to-date! Exciting news on working for Derbyshire Dales Fairtrade District status - more soon! 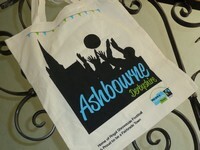 We've launched a new Fairtrade bag for Ashbourne. Cheddar Gorge on Dig Street pledges to serve Fairtrade coffee in its cafe.